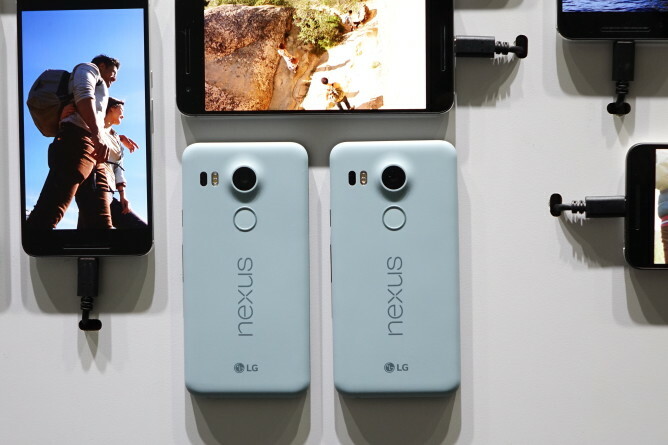 The Nexus 5X is, by Google's own admission, a spiritual successor to the very-popular-for-what-it-was Nexus 5. It has a reasonably-sized display at 5.2 inches with a reasonable 1080p resolution, a not too fast, not too slow Snapdragon 808 processor, and comes with a usable if not super-capacious 16 or 32GB of internal storage. 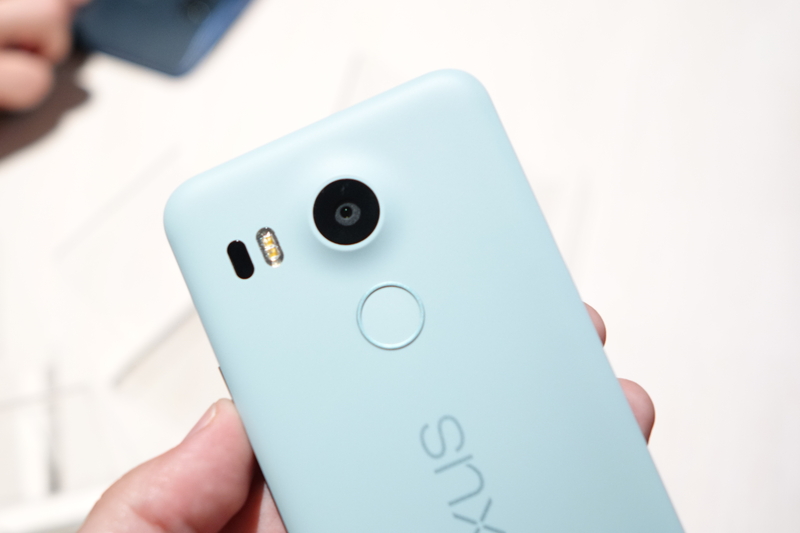 At just $379 to start, the Nexus 5X isn't the cheapest "nice" smartphone we've seen, but it is certainly nothing if not cheerful, especially in this light blue shade (which is indeed blue, I promise). 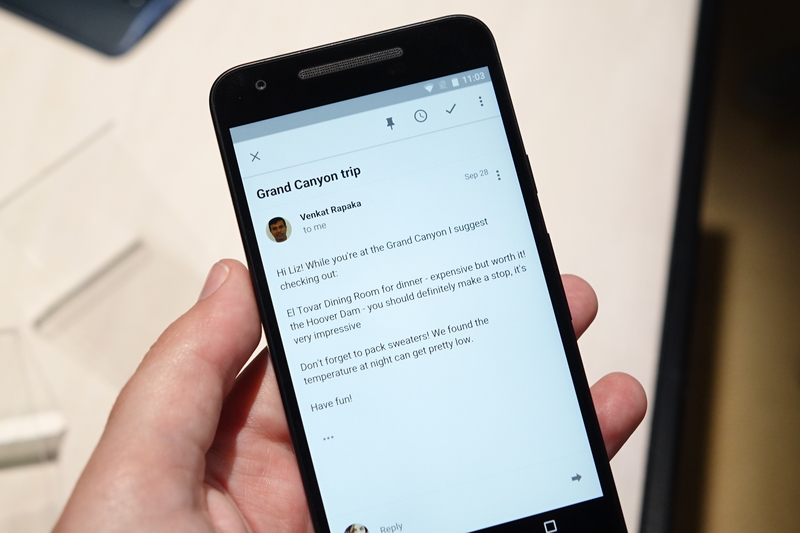 The phone feels fast, as does just about any Nexus running a fresh build of Marshmallow. The software is what it is: stock Android 6.0. Most would regard this as a good thing, and I certainly agree - fewer preloaded apps and services mean a phone that is probably more likely to stay fast and fluid longer than a bloat-ridden carrier branded device. And even when you've got the likes of Motorola with the Moto X 2015 for just $20 more, it's hard to put a price on having your phone's updates managed directly by Google (be that a good or bad thing). 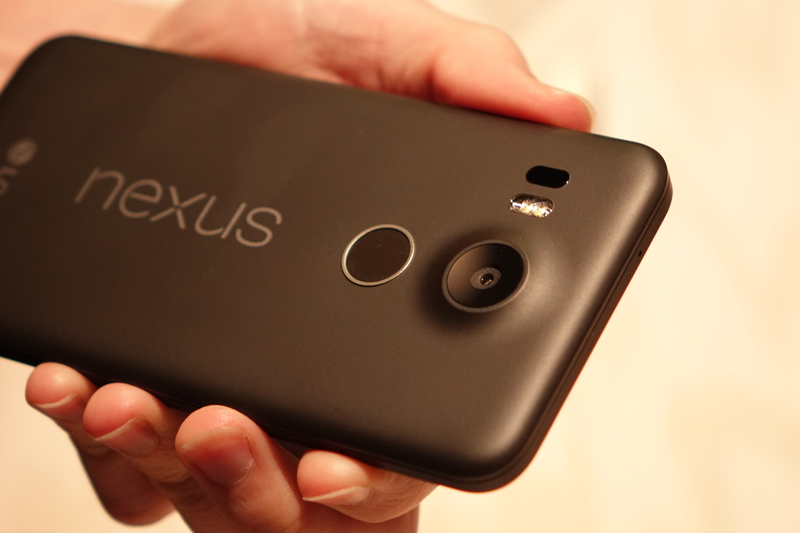 The fingerprint sensor, though, is likely the Nexus 5X's greatest claim to fame in this price bracket. Without it, it would easily blend in with the various other smartphones in the $300-400 area, aside from the OnePlus 2. The reason the OnePlus 2 doesn't really enter into consideration, though, is its lack of NFC - Android Pay plus a fingerprint scanner means biometric-authenticated payments are well within your grasp, even if Android Pay itself still has relatively meager support in actual retail locations. The fingerprint sensor, on a related note, works quite well. The process of registering a finger is leagues quicker than any other device I've used - including my iPad Air 2 - and took only six "taps" before I was good to go. Accuracy seemed decent in my brief testing, but that'll only really be clear with more time actually using the device. The 1080p IPS LCD seems quite bright, and as I said, the phone seems reasonably quick. The Nexus 5X is also quite light, at least if you ask me, something I only discovered I was missing out on once I actually picked the device up. Having a light smartphone is kind of nice. The front-facing speakers seem to get reasonably if not insanely loud, and the quality of the phone's construction seems respectable. 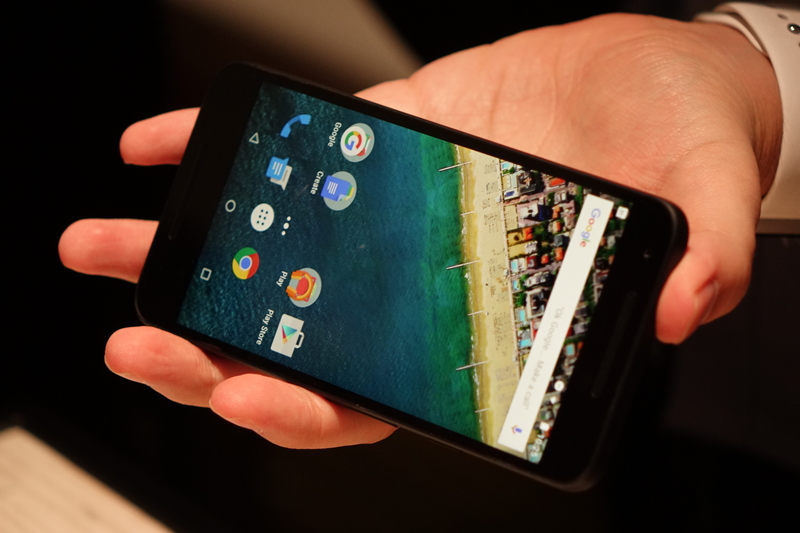 Seams are nice and thin, though I didn't find the throwback "Nexus 5 style" power and volume buttons particularly compelling - they're average at best. 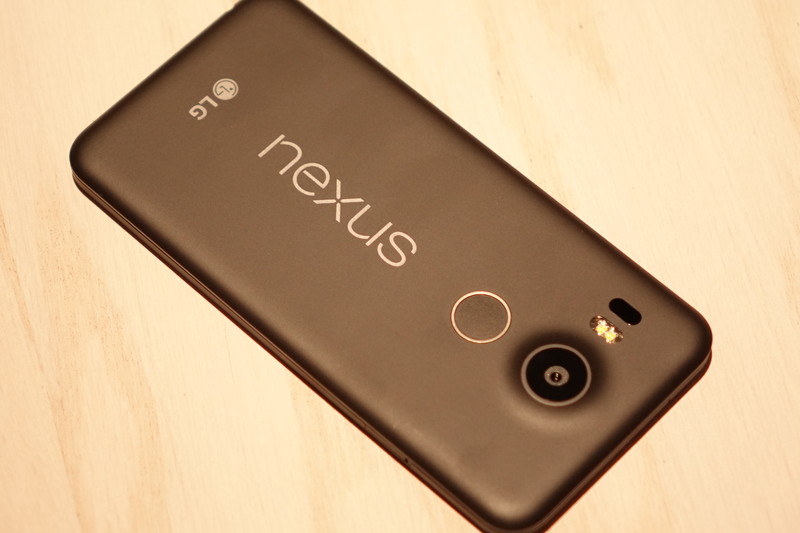 We'll hopefully be getting a lot more familiar with the Nexus 5X when we get a review unit some time in the next few days.